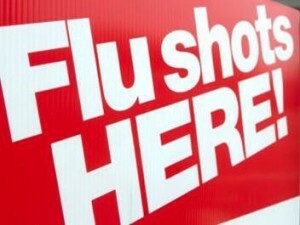 LANCASTER – Antelope Valley Hospital will be offering free flu shots tomorrow (Saturday, Feb. 2) to adults 18 and over. Vaccinations will be administered from 8 a.m. to 2 p.m. (or until supplies last) in the hospital’s cafeteria. The Café on J is located on the first floor of Antelope Valley Hospital at 1600 West Avenue J in Lancaster. Use the hospital’s main entrance for access. Each year, there are 25-50 million cases of flu in the U.S. and it causes the hospitalization of over 200,000 Americans. Traditionally, the winter season is the peak time of year when flu outbreaks occur, but the exact timing and duration of flu seasons can vary. This year’s vaccine is formulated to provide protection against three different flu viruses: H1N1, H3N2 and influenza B. Although it takes about two weeks for full immunity to build after vaccination, the flu outbreak is projected to increase for at least the next several weeks, so it’s not too late to get a flu shot and have it be effective against the flu. Annual vaccinations are strongly recommended for everyone over six months of age. In addition, good hand hygiene, including frequent hand washing, covering coughs and sneezes, avoiding close contact with those who are sick with the flu, and staying at home while experiencing flu-like symptoms, will help prevent the spread of the disease.